9383 EP SRI LANKA (2007) Ram*. Imperforate proof pair. Scott No 1611. Zodiac series (Aries). 9384 EP SRI LANKA (2007) Bull*. Imperforate proof pair. 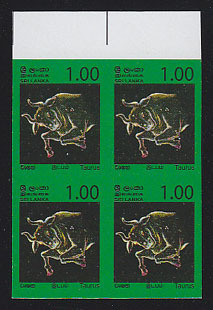 Zodiac series (Taurus). 9385 EP SRI LANKA (2007) Twin archers*. Imperforate proof pair. 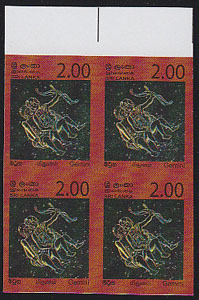 Zodiac series (Gemini). 9386 EP SRI LANKA (2007) Crab*. Imperforate proof pair. Zodiac series (Cancer). 9387 EP SRI LANKA (2007) Virgin*. Imperforate proof pair. 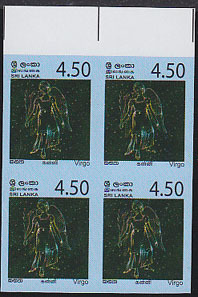 Zodiac series (Virgo). 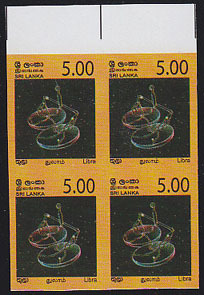 9388 EP SRI LANKA (2007) Scales*. Imperforate proof pair. Zodiac series (Libra). 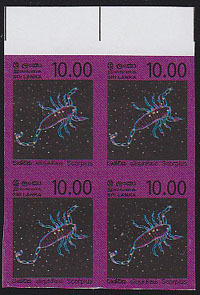 9389 EP SRI LANKA (2007) Scorpion*. Imperforate proof pair. Zodiac series (Scorpio). 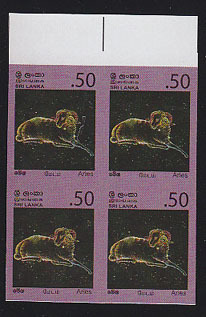 9390 EP SRI LANKA (2007) Centaur archer*. Imperforate proof pair. 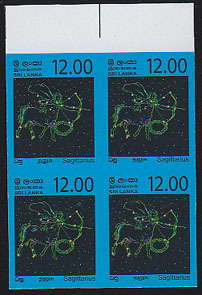 Zodiac series (Sagittarius). 9391 EP SRI LANKA (2007) Goat*. Imperforate proof pair. 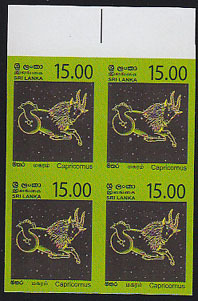 Zodiac series (Capricorn).